33 cm tall (13 inches). 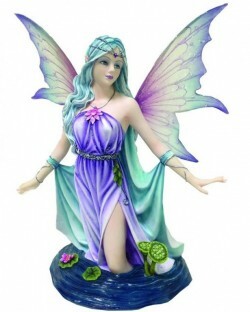 An eye-catching and weighty Fairy statue with beautiful detail and design. Arrives boxed within sturdy and protective polystyrene casing. From the Premium Fairy Collection.